From Thursday, September 20th to Friday, September 21st, the largest Grade 9 class (ever!) 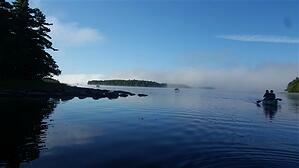 embarked on their annual Duke of Edinburgh “Adventurous Journey” into Kejimkujik National Park. All 60 students were shuttled into the middle of Nova Scotia’s wilderness, located in the most central western half of the province. With the help of an energetic and experienced KES chaperone crew, the students set off into different areas of the 404 km2 designated National Historic Site and National Park, to start their 20-plus kilometre expedition. Students carried all of their respective camping gear, personal clothing and food in packs weighing 15-20 kilograms. A large group of campers were able to meet in one location and enjoy a night of singing, laughter and entertainment, largely provided by Mr. LePoidevin. Mr. Kershaw, Mr. Lakes and Mr. Seagram. These leaders then took smaller groups of students to more remote sites. 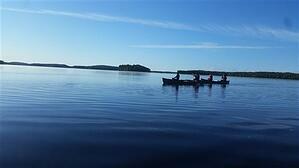 Mr. Kershaw and Mr. Seagram’s groups went by canoe while Mr. Lakes’ group went deep in the park, and they found a lake all to themselves. 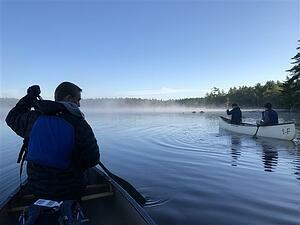 Well away from the comforts of familiarity, some members of our large student group paddled over 8kms while others hiked over 20kms. As the fires burned low and the forest grew darker, most students retired to their tents where they shared the space with newfound friends. An early morning breakfast of oatmeal and noodles saw everyone packed up before 8:00am to start their return hike. We were greeted at the meeting point by the welcoming and friendly service of KES bus drivers, Larry and Paul, and a School-made lunch compliments of our wonderful cafeteria staff. The entire experience was a success, and a big thank you to all our students for their participation, willingness, and positive attitude while being taken out of their comfort zones. Even with no Wi-Fi, devices, video games or Instagram, a true “connection” was shared amongst the entire group. Mr. Alguire would like to thank our Grade 9 students for their appreciation of the excursion, and send a sincere ‘thank you’ to all the KES staff who helped support this exciting adventure. (As you can see,) King’s-Edgehill Students have wonderful opportunities to get off campus and still keep learning. 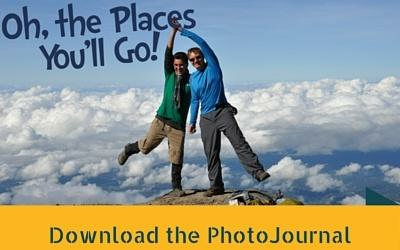 Check out fantastic photos from around the world and read more about all the places that KES Students travel when you download Oh The Places You’ll Go!